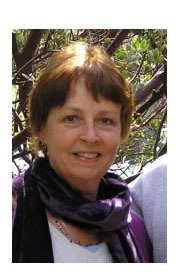 Dr. Barbara Rogoff is UC Santa Cruz Foundation Distinguished Professor of Psychology. She is a Fellow of the Association for Psychological Science, the American Anthropological Association, the American Psychological Association, and the American Educational Research Association. Barbara Rogoff has held the University of California Presidential Chair and has been a Fellow of the Center for Advanced Study in the Behavioral Sciences, a Kellogg Fellow, a Spencer Fellow, and an Osher Fellow of the Exploratorium. She served as Editor of Human Development and of the Newsletter of the Society for Research in Child Development, Study Section member for the National Institute of Child Health and Human Development, and committee member on the Science of Learning for the National Academy of Science. Her latest book, Developing Destinies: A Mayan Midwife and Town, is receiving the 2014 Maccoby Book Award from the American Psychological Association, Division 7, Developmental Psychology.